What does it mean? Here are some clues: “hae” means “have”, “wad” means “would”, and “want” refers to lacking something. So let’s be thankful for our good fortune and good health. May your family also be blessed with good fortune and good health. Happy Thanksgiving from the Dwight branch of the McGilvrays! 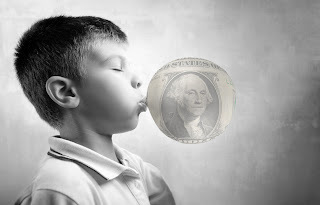 As of today, I have published 322 consecutive daily posts on Family Finance Favs since my first article on January 7. It’s been challenging and rewarding. Originally, my goal was to hit 365 straight posts before reassessing how often I publish. For a few reasons, I’ve decided to make an adjustment now rather than later. First, I received two unsubscribes recently that cited too many emails. I want to help busy parents, not overwhelm them. Secondly, tomorrow is Thanksgiving. I’d like to dial things back a bit for the holidays, so I can focus on my family without feeling the constant pressure of a daily writing deadline. Third, I’d like to get back to writing more software on our family finance site. It’s a core passion of mine that has been sidelined of late. Besides, our ever growing population of families and backlog of enhancements demand more attention. So, starting with today’s post, I’m switching over to a weekly cadence. After the holidays, I might adjust to a frequency somewhere in between. Let me know what you think. I noticed an American Girl doll purchase buried within an anonymous sampling of transactions today. A little deeper analysis on our family finance site reveals they’re still quite a thing with today’s tweens. 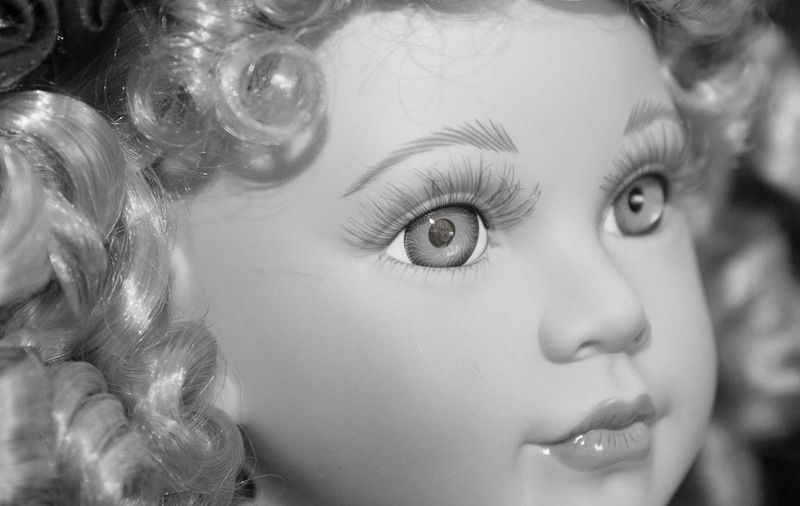 The answer: much, much more than just the doll itself. That’s because nobody buys just the doll. There are the inevitable accessories. Outfits, furniture, even a dog! Before you know it, you’re in for well over six times the initial cost of the doll. I call that a personal finance opportunity. Time to teach your young tween about the total cost of ownership. Have your doll enthusiast fill out a worksheet of all the “little” follow-on accessories envisioned. 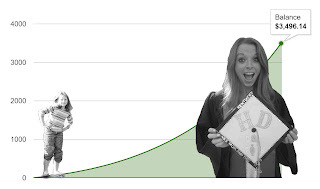 It’s a rare chance to introduce your youngster to the magic of spreadsheets around a captivating topic. Seeing the grand total up front will be a revelation. Offer a deal: you pick up the doll, and your youngster picks up the accessories. Now watch that wardrobe — and the total cost of ownership — shrink! Thanksgiving, the holidays, and New Year's provide the perfect backdrop for charitable giving discussions with the kids. Should they be setting aside a portion of their own money for donations? As I’ve written before, I like the idea of letting kids make that decision. After a thoughtful conversation with you. It’s a conversation worth revisiting periodically though. Kids mature. How does 11% match up with your kid’s latest thinking? There’s no right answer, but a little data might just be the nudge your kids need to up their charitable games this year. 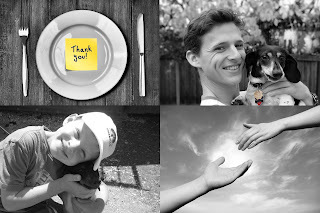 Express gratitude together before family meals. Make a gratitude list with your child. Share these 16 classic gratitude quotes with your kids. Make sure your kids get a sucky job. 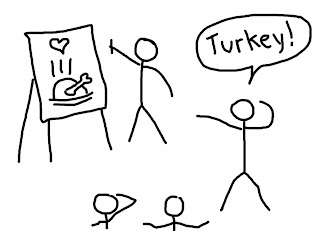 Play Gratitude Pictionary with the family this Thanksgiving. Teach your kids what it really means to be “rich”. How many times have you been suckered into the last minute birthday gift scramble by your kids? Hey, Johnny is cool, but he’s my son’s buddy, not mine. Set a birthday present budget. Decide on a reasonable limit that makes sense for your family’s situation. Remind your youngster: a thoughtful selection always means more than an impersonal one — no matter how modest the price range. If your kids want to spend more than the budget, you can invoke the Premium Price Rule and have them pick up the difference. Provide the funds. Hand over the cash, credit your kid’s card, or reimburse the precise amount after the fact. A prepaid card loaded with limited funds works well for online purchases in particular. Get out of the way. Let your kid own the gift selection and the shopping. Beyond chauffeuring when necessary or vetoing in extreme cases, your involvement should be minimal. Viola. A birthday gift for Johnny. A responsibility gift for your child. A stress reduction gift for you. Trifecta! We’ve already discussed how to sidestep the checkout stand meltdown by maneuvering the purchase decision out of your hands and into your kid’s. You’ll find the precise script here. But what if your kids play the old “other parents don’t make their kids buy their own gum” card? No worries. I’ve got some data from our family finance site to help you call that bluff. It turns out we see lots of these little gum transactions. In fact, so many that “gum” bubbles up near the top of the common keyword list when we anonymously analyze transaction descriptions. The youngest purchaser was 3 years old. The 7 to 12 age range is the sweet spot for gum purchases with 12 year olds having the most transactions. I wonder what the old left-gum-in-pants-pocket-that-went-through-the-wash infraction costs in that household! Is your child falling into the trap of always wanting more? Perhaps you could adopt one as a family money motto. Too deep for your youngster to grasp? Just remind your kids to look for joy in the simple things already around us. Charles Schulz captured a classic example that anyone of any age can appreciate when he said: “Happiness is a warm puppy.” Not cold cash. You drag the boxes down from the attic. You decorate the house from head to toe. The family enjoys a festive holiday. You lug the boxes back up to the attic. That’s when you find the stray decoration lurking in a nook here or a cranny there. It’s inevitable. Finding all your decorations while cleaning up after the holidays is like finding all the typos in your own writing. One or two always slip through the cracks. Looks like a parent paid a kid 50 cents for finding a stray Halloween decoration. Brilliant! Before you make that final ascent up to the attic with your holiday boxes this year, offer your kids a modest bounty for any stray decorations they can find. 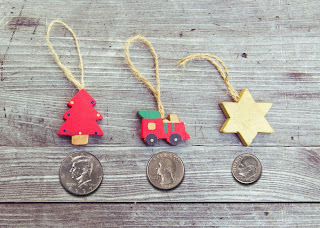 It’s a fun way for your kids to put a little jingle in their pockets while eliminating some holiday hassle for you. Win, win. So how do we build a sense of gratitude in our kids? 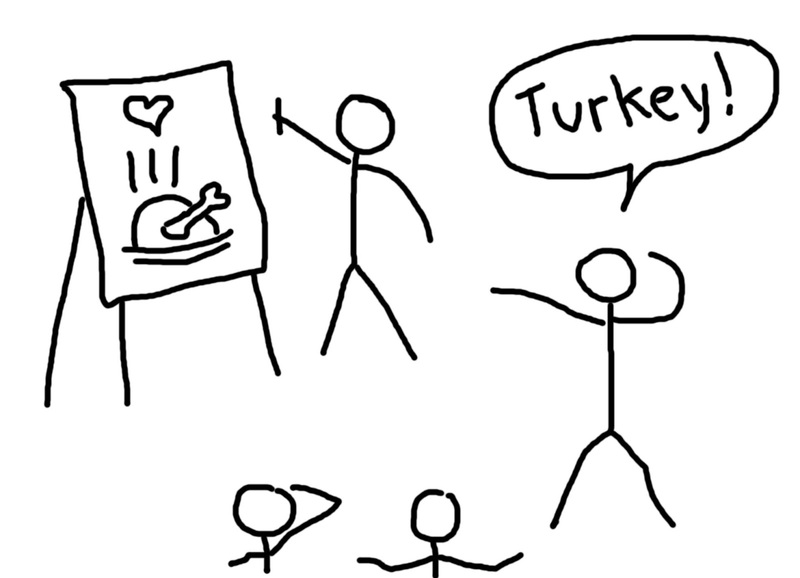 One way is through little daily rituals, like giving thanks before a meal. Another is through occasional simple exercises, like making a gratitude list. Younger kids can use your guidance, older ones can handle it solo. 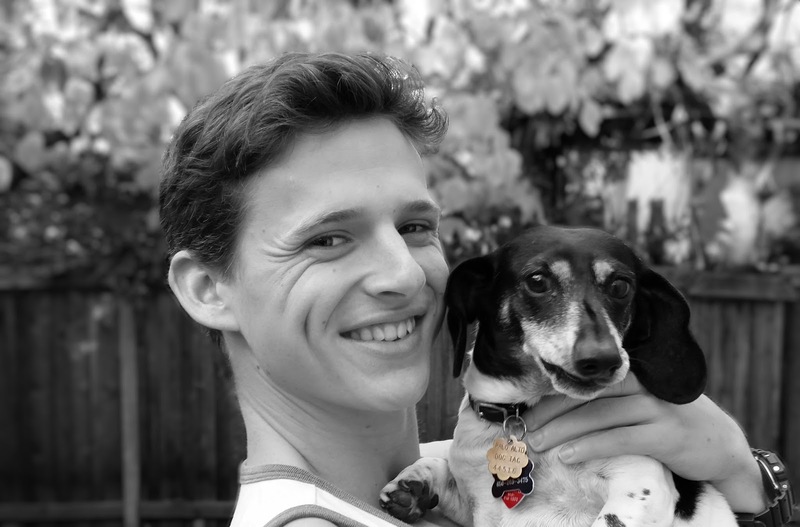 I’m grateful for my family (including Colby, our piebald dachshund). I’m grateful for the opportunities I’ve been given. I’m grateful for my health. I’m grateful for not having to worry about my next meal. I’m grateful for human empathy and drive. I’m grateful to those whose shoulders we stand on. I’m grateful to my struggles for shaping me. I’m grateful for my freedom. I’m grateful for democracy and the peaceful transition of power in the US. I’d say that’s a pretty epic list. Me? I’m grateful to have my son home from college for the holidays. 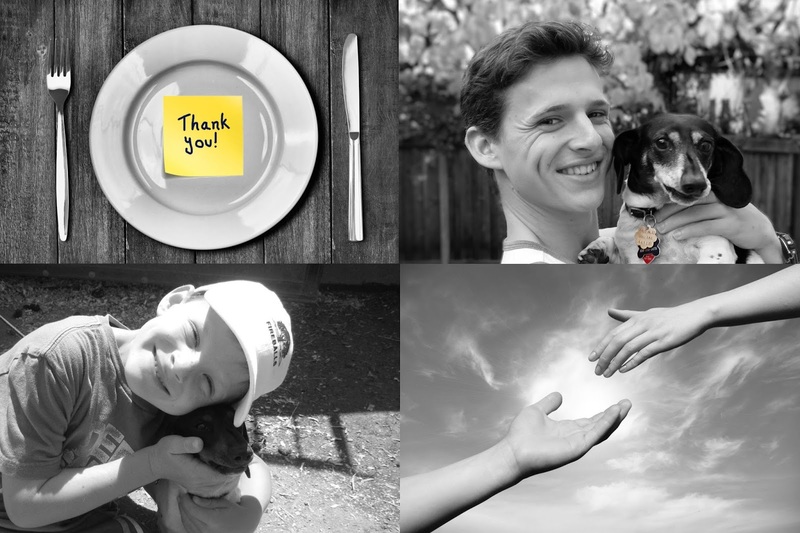 What’s on your family’s gratitude list? 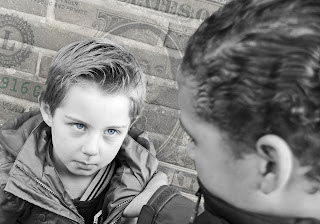 Financial bullying among kids comes in many forms. Some blatant, some more subtle. An aggressive kid threatens a beating unless your child hands over money. A social clique “accepts” your introverted child as long as your kid’s picking up the tab for outings. These can be tough situations for parents to detect. 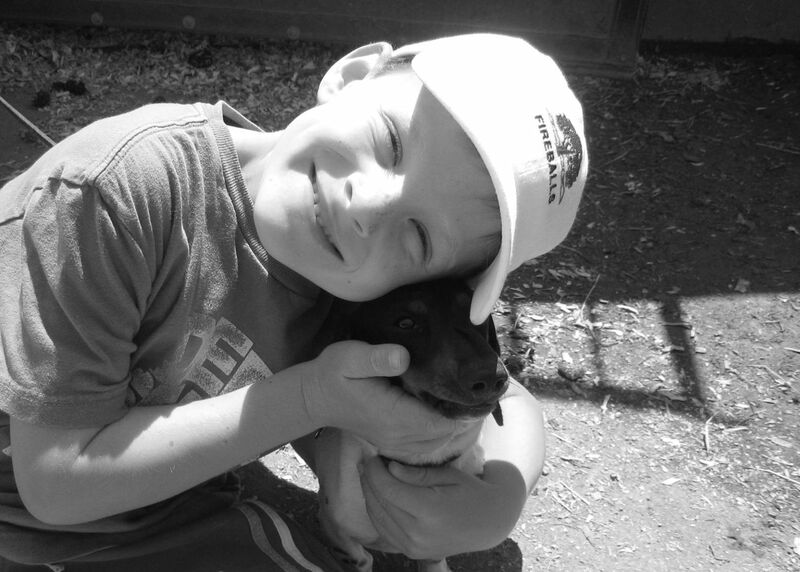 Financially bullied kids can be too intimidated, naive, or embarrassed to let Mom or Dad know. Give your kid a prepaid or bank debit card, not cash. 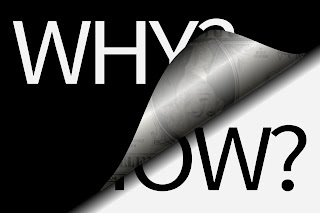 Bullies like cash for the same reason criminals do — no audit trail. Don’t make your kid an easy target. Limit the amount on the card. 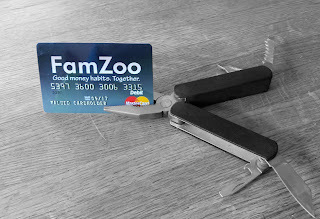 Keep a modest balance on the card. Transfer funds onto the card only as needed. That protects your kid from being cajoled into a big one-time purchase. Turn on real time transaction alerts. Get a card that allows you to receive text alerts whenever there’s activity on your child’s account. Review the transaction history. Sit down with your child and review the week’s transactions. That’s a good habit whether your kid’s being bullied or not. Fill in that blank if you’re delivering money to your kid on a regular schedule. That’s what most parents call it. But maybe you’re missing an opportunity to reinforce a more focused message with your kids about money. A message your kids would hear or see every time you hand over cash or deliver a deposit. If you could give that allowance a more meaningful label, what would it be? I pulled an anonymous sample of allowance names parents are using on our family finance site. 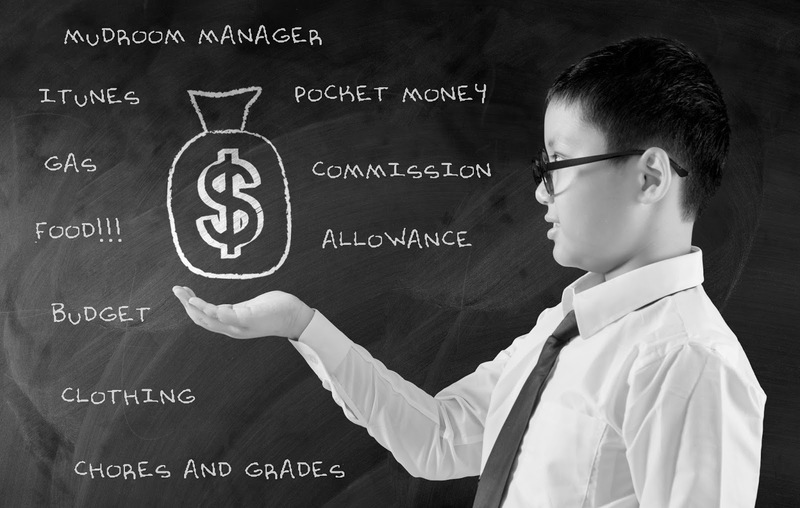 Kids see the names and absorb subliminal money messages every time allowance is delivered into their accounts. 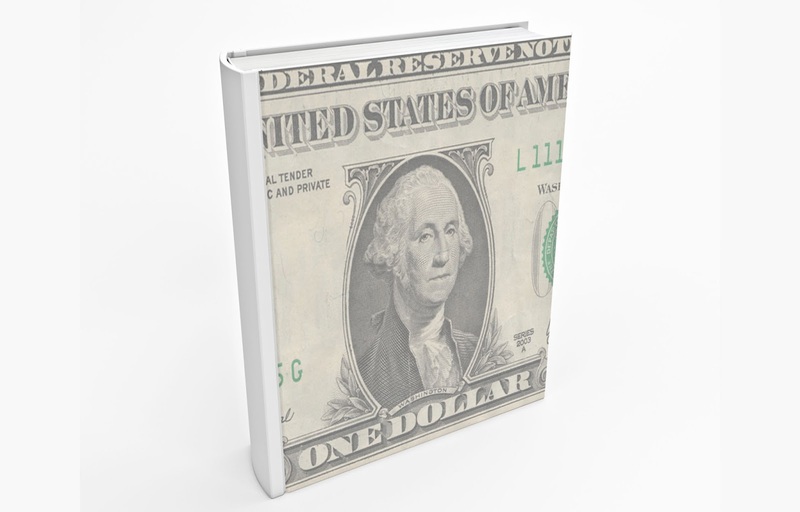 Play Money — Pessimistic view: Money isn’t real, it’s just pretend! Optimistic view: Our family believes everyone needs a little play in their life. All work and no play makes Jack a dull boy, right? So, here’s a little money to facilitate some fun on a regular basis. Free Money — See above. Budget — An allowance isn’t a random hand-out or free money, it’s a tiny slice of the family budget. Use this money for the things we agreed you’d pay for. Wants — We’ll take care of your core needs. Handle your wants with this. Clothing — here’s an additional allowance specifically earmarked for clothing based on the annual budget you proposed and we approved. We’ll let you make the purchasing decisions, but when it’s gone, it’s gone. Commission — Like Dave and Rachel say in Smart Money Smart Kids, you’re working for us on commission. Work — Remember, money comes from work. Make Lunches For Dad — Remember our deal: you keep making my lunches, and I’ll keep delivering your allowance. Mudroom Manager Paycheck — Here’s your regular payment for managing the family mudroom. Keep up the good work! Study Allowance — Keep studying, and your allowance will keep coming. Stipend — As we discussed, a stipend is a payment made to a trainee or learner for living expenses. While you’re in training or learning mode, we’ll help you cover expenses. But when you graduate, you’re on your own. Dollar A Day — If you’re mindful with your money, a dollar a day can really add up over time! Photography Expenses — We love supporting your passion for photography. Here’s the amount we budgeted to keep expenses within reason. Gas, Clothing, Donations — Manage your funds wisely between these three areas. Gas Card Top Up — You’re responsible for most of your own gas, but we’ll kick in a bit each week. iTunes — Let’s keep that iTunes obsession on a bit of a leash. Social Money — Great to see you hanging out with good friends. This should be enough for fun but frugal outings together. Lego Allowance — Keep saving this for a few months, and you’ll have enough for that next cool set. FOOD!!!! — We get it. You’re a growing teenager playing 3 hours of sports every day. This is for after-practice hunger pangs. Base Salary — We’re kicking in a modest allowance for fulfilling your expected family obligations. Want to earn more? Check out the opportunities posted on the family odd jobs chart. Purchases Normally Paid By Parents — We’re putting you in charge of buying the things that parents typically buy for their kids. That way, you’ll know how much everyday life costs, and there’ll be fewer surprises when you’re on your own. Did those labels make you rethink how you’re positioning allowance in your family? What message do you want to send whenever allowance hits your kid’s account? Have you ever received a nice little financial windfall? A bonus? A tax refund? A rebate? A surprise raise? Have you ever blown one? Most of us have. You remember. That ill-conceived purchase while basking in the giddy afterglow of an unexpected cash infusion. Whoopsie! 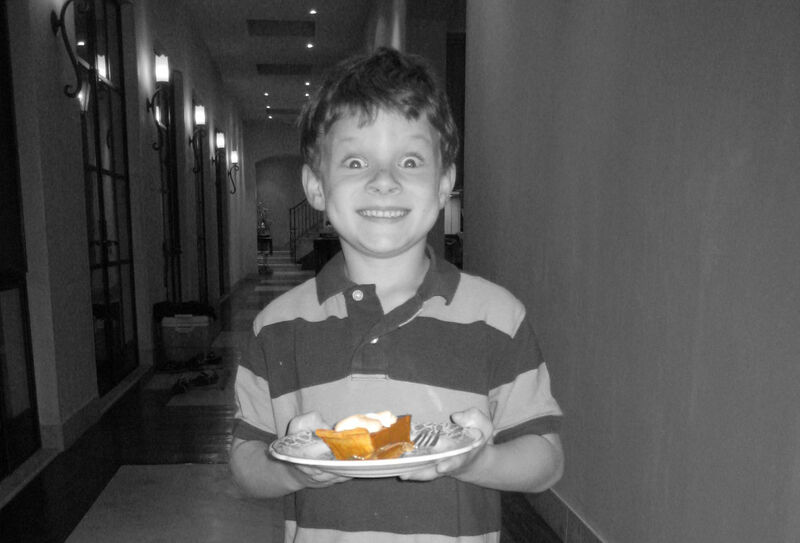 Kids get windfalls too. 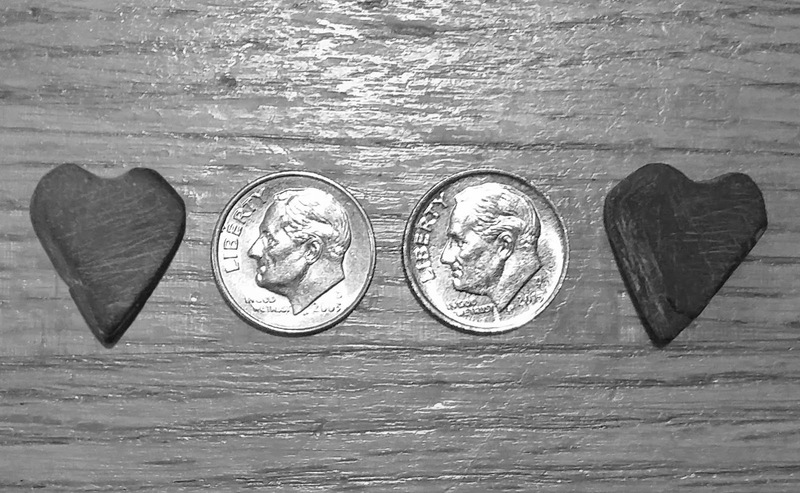 Birthday money. Holiday money. The blockbuster babysitting payout from the absurdly generous neighbor. My youngest son received $25 for a 10 second photo shoot when he was 5. To a kindergartner, that’s like winning the Powerball jackpot! So you might want to sit down with your kid and discuss some thoughtful strategies for dealing with the inevitable windfalls. Define a separate windfall split. Lots of parents encourage kids to split allowance, chore, or odd job payments between buckets. 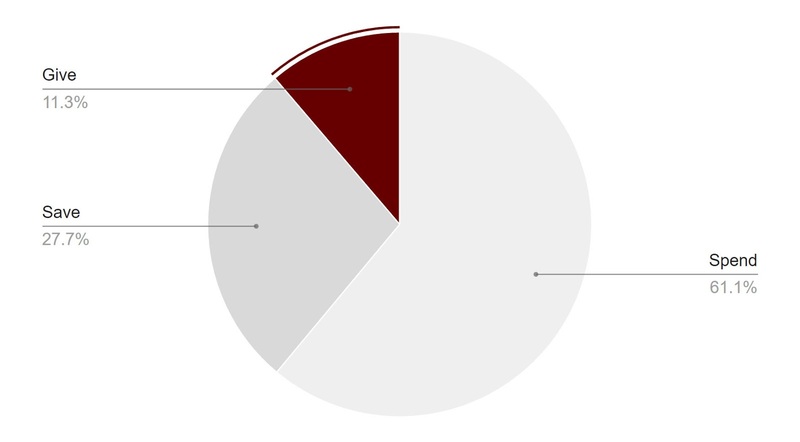 For example, the average split allocations defined for spending, saving, and giving on our family finance site right now are 62%, 27%, and 11%. For windfalls, you might choose a different split. Maybe it’s more heavily tilted toward spending (90%, 5%, 5%), or maybe it doesn’t include all the normal buckets. Let your kids help decide. Use the 48 hour rule. 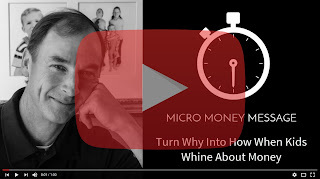 Mandate a healthy waiting period before letting your child spend a windfall. Make your kid sleep on it, at least twice. Fill a strategic money bucket. 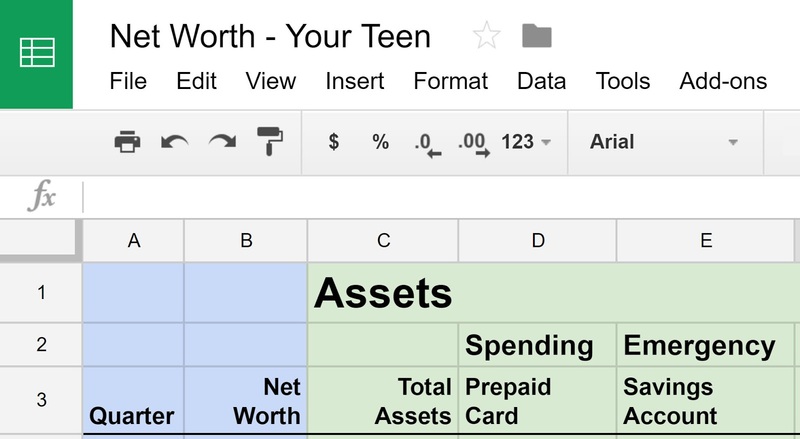 If you’ve started a net worth spread sheet with your teen like the one here, maybe there’s a column that needs special attention. The emergency fund? The Roth IRA? A Bank of Mom/Dad loan repayment? Convince your teen to use some or all of a windfall to shore up any significant gaps. Offer a parent match for non-spending choices. 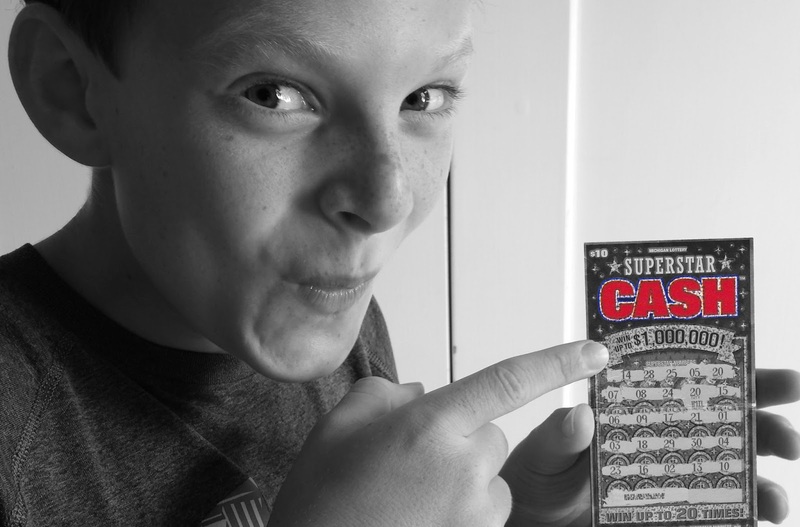 There’s nothing like a little incentive to nudge behavior in the right direction. Maybe you could offer a parent match for windfall uses unrelated to spending — like a 100% parent match for any contributions to a Roth IRA. Discussing how to handle small windfalls with your youngsters now might prevent them from blowing big windfalls as an adult. You know, like you did. 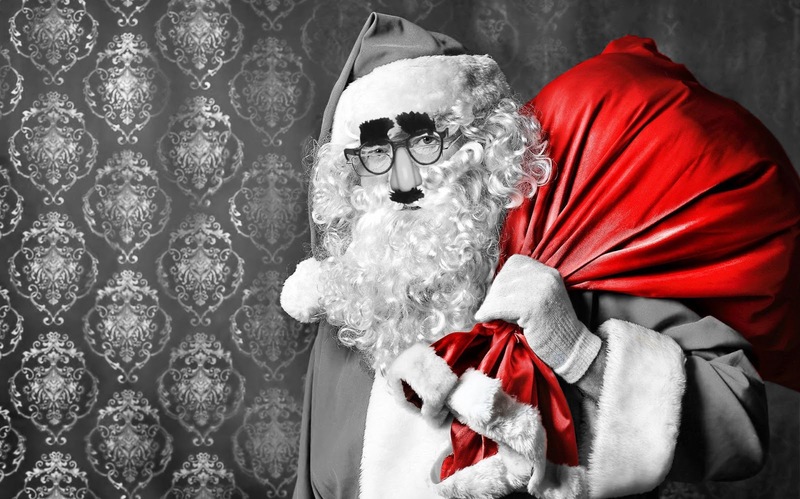 ’Tis better to give than to receive, right? Unfortunately, kids can’t discover that beautiful truth if they’re always on the receiving end of the holiday gift exchange. Here’s how to make sure your kids have the funds to be on the giving end as well. Set up a separate gift fund for your kid. Add an extra jar, account, or prepaid card to your standard set of buckets. 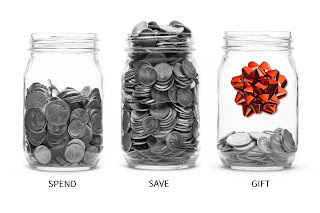 Pick a modest gift budget. One way to keep things fun yet frugal is to organize a secret family gift drawing for the holiday. See how we organize our family drawing and limit the budget to $20 a child here. Divert a slice of allowance, chore, or odd job income to fill the fund. Temporarily amend your kid’s spend-save-give allocations to add in a percentage for the new gift bucket. Revert to the original allocation once the gift fund hits the target amount. Now your kid will have the gift funds in hand by the time the holiday rolls around. Giving a gift purchased with hard-earned money always generates a special sense of pride and joy in a youngster. And, as a happy consequence, your child will appreciate receiving gifts from others even more. It’s two gifts in one. Teens are notorious for risky behavior. It comes with the surging hormones and the under-developed frontal lobe. But there’s one area where you need to convince your teens to amp up the risk if they’d like to enjoy a healthy future. Research shows the biggest money mistake young people make theses days is playing it too safe. Most teens just plunk money in a savings account, if they save any money at all. Help your teen get a W-2 paying job. Summer jobs are great for teens, but research shows part-time work for full time students has surprising benefits too, so don’t rule that out. Open a Roth IRA account. I used Schwab for my teens, but there are lots of options here, so shop around. The tricky part — contribute some earnings. Convince your kid to stash away some percentage of each paycheck. At the end of the summer or the year, move that savings over to your teen’s Roth IRA as an annual contribution. Match your kid’s contributions. Grandparents or relatives might be willing to help here. The tax advantaged Roth account plus the family matching makes this what many people call a “Family 401(k).” Just make sure you stay within all the legal limits and play by all the legal rules. Invest. Don’t just let contributions sit there in cash. This is where it’s time for your teen to take some near term risk to gain some long term returns. We’re talking decades here. I like to use low cost, diversified index funds or ETFs for my kids, like Vanguard’s VTI. Rinse and repeat through college. Make it an annual family tradition. Now, you’re gonna struggle to get past step 3 if you don’t show your teens some serious payoff. So it’s time to whip up a little spreadsheet. Let’s say your high school freshman makes over 1500 dollars this summer (not unusual, my kids did), contributes $500 of it to the Roth, gets the grandparents to match, and invests in VTI. Then suppose your child continues the ritual every year for 8 years through senior year in college. 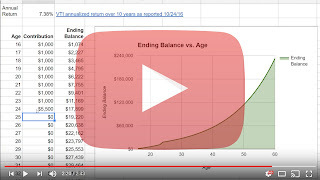 Assuming an annual return of 7.38%, your kid would turn that $8,000 into over $150,000 by age 60. Even better, suppose that student ritual turns into a persistent habit after college. Maxing out Roth contributions every year would probably leave your kid sitting on well over a million dollars by retirement. 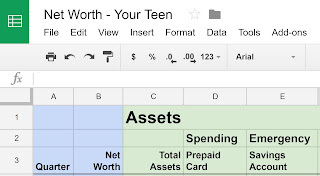 Run the numbers in the spreadsheet and show your teen. Now that’s a risk your teen can certainly afford to take. Holiday gift giving can be emotionally and financially stressful — especially in big families like mine. That’s a lot of spending. Spending that some family members might not be able to afford. That’s a lot of work. It takes real effort to think of just the right gift for someone. Finding 6 perfect gifts is overwhelming. That’s a lot of (potentially random) stuff. Are their really 6 different perfect gifts out there for you this year? Probably not. Holiday spirit? More like dispiriting. Sounds like a gift grind. A secret drawing. Well in advance of the holiday, I conduct a secret drawing to match one family gift giver with one unknowing recipient. A budget cap. I set a budget cap on how much can be spent on each gift. We’ve gone with $20 in our family. Do what’s comfortable in yours. We’ve found that when the creative juices start flowing, $20 goes a long way. 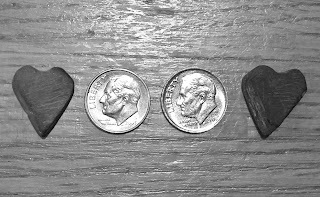 Little eclectic gift combos using every last budgeted cent are the norm. 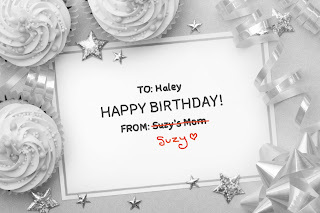 A hand-made card. The card has to include a little mini-essay on why this is the perfect gift for the recipient. There have been some priceless ones. A formal ceremony. The gifts are delivered one at a time in front of the family “audience.” We do ours at the dinner table on Christmas Eve. Standing with the recipient, the giver provides color commentary along the way, explaining the nuances and hidden jokes behind the gift. The sibling banter around the exchanges has provided some of our most priceless (and proudest) moments as parents. I’m smiling now just thinking about the highlight reel. Maybe it’s time to try a gift drawing in your family this holiday season. It’s frugal. It’s festive. And best of all, it’s thoughtful. Sounds like the holiday spirit to me. One way to make charitable giving a family habit is to schedule it. Make it a regular tradition on the same day every year. The end of year holidays are a popular time, but they can be mighty hectic. Try anchoring your family giving to a day near a holiday instead of right on one. Like #GivingTuesday. It’s the first Tuesday after Thanksgiving, and it’s the perfect charitable bookend to the rabid consumerism of Black Friday and Cyber Monday. 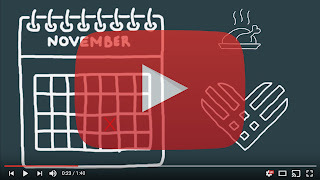 What is #GivingTuesday? It’s a global day of giving that has been gaining momentum through social media since 2012. You can read all about it here. Set a giving goal. Encourage the kids to set goals for how much and where to donate. Looking for ideas? Consider scouring DonorsChoose for a classroom project that resonates. Or, make small amounts go extra far in the developing world with GiveWell. Allocate funds. Set up a separate jar, prepaid card, or account to accumulate a portion of each allowance, chore, odd job, or birthday payment for charitable giving. After a thoughtful conversation, let your kid choose the percentage. The choice just might surprise you. Kick in a consumption tax. For extra credit, sweeten the charitable pot with a family-imposed Black Friday / Cyber Monday tax. Take 10% of non-essential purchases on those days, and add it to your charitable buckets. The tax will either amp up giving or tamp down spending. Either way, it’s a win. Celebrate with an #UNSelfie. As you’re disbursing your donations, capture the moment and post an #UNSelfie with the family on #GivingTuesday. That will encourage others to join in on the charitable giving buzz. Start making charitable giving a holiday tradition — and a lifelong habit — with your kids this year. Mark #GivingTuesday on your family calendar today.